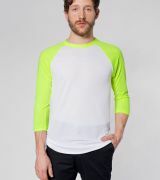 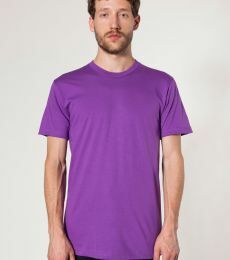 Known for super-soft jersey cotton knitwear and fashion-forward cuts, American Apparel pushes the boundaries of comfy, casual basics with a rainbow of colors and styles. 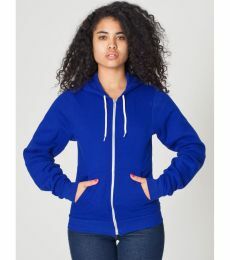 Since the company's founding in 1989, by Dov Charney, the brand's product line has expanded to include hoodies, legging, unitards and backpacks. Long-lasting and of high quality, American Apparel clothing is also trendy, cutting-edge and, at times, a little provocative. 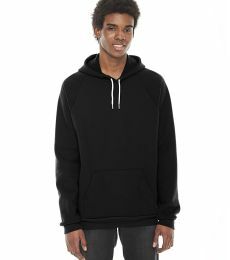 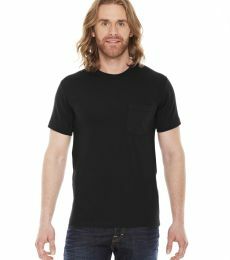 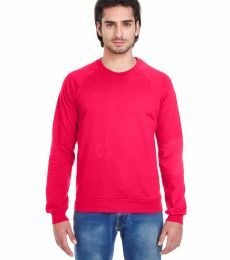 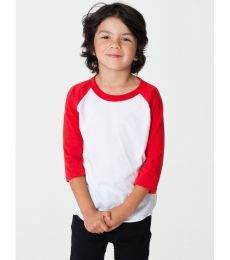 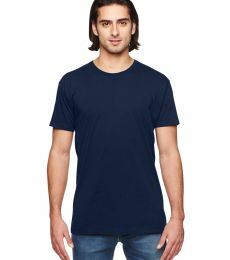 American Apparel wholesale cornered the market on selling high quality affordable trendy blank clothing wholesale to retailers making it perfect for screen printing or other customization. 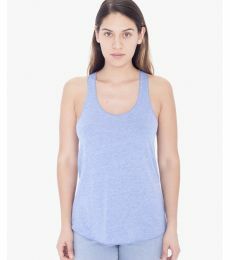 American Apparel is the largest manufacture still producing garments in the US today. 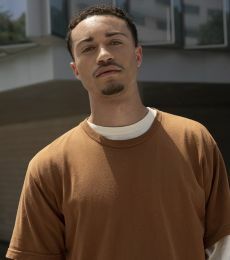 All operations, including manufacturing, take place in downtown Los Angeles. 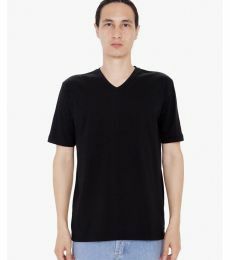 The company is known for its "Made in the USA," sweatshop-free ethos of providing fair wages and refusing to outsource manufacturing. 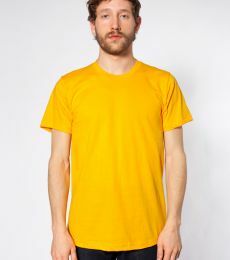 Factory workers are paid between $13-$18 dollars a hour and given low-cost, full-family healthcare. 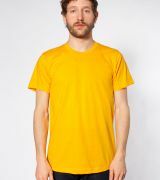 In addition, workers are allowed free international phone calls during work hours. 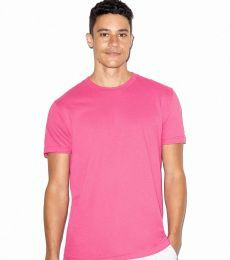 The company has a commitment to sustainability and environmental responsibility, recycling almost all manufacturing waste. 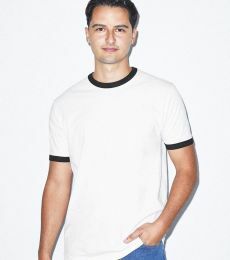 Their product development is designed around the concept of creative reuse, converting all excess fabric from one garment into several additional items (such as swimwear, belts, headbands, bras and underwear). 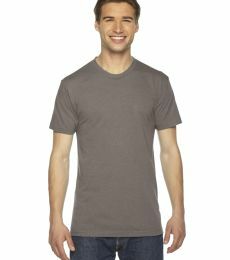 This concept saves about 30,000 pounds of cotton per week. 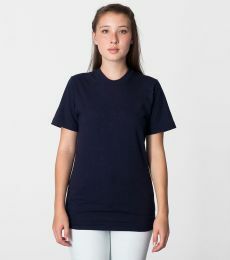 As of 2012, American Apparel was virtually land-fill free. 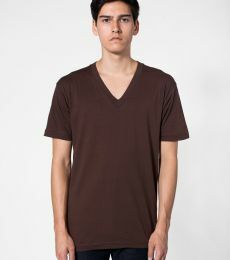 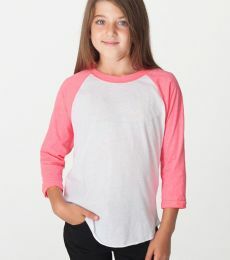 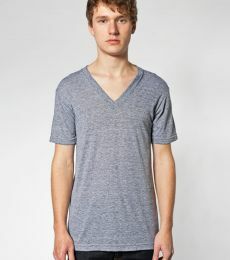 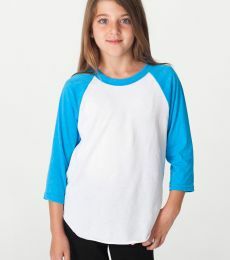 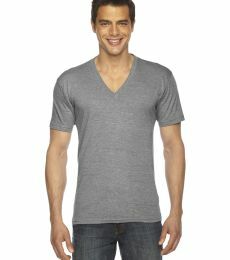 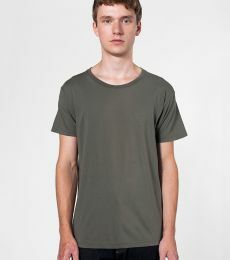 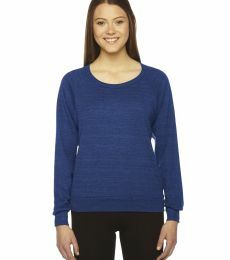 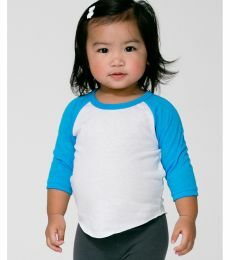 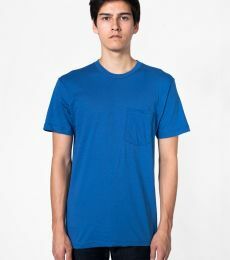 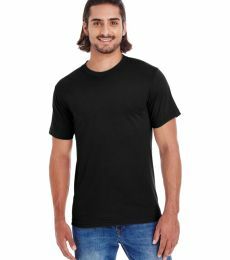 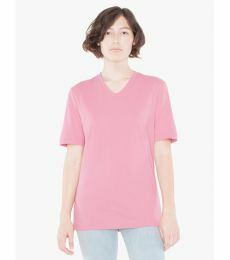 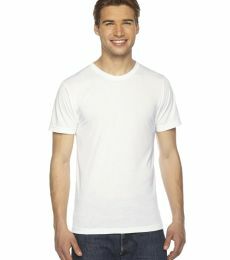 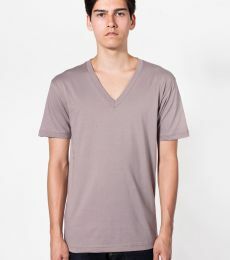 American Apparel blank T shirts are a favorite for those looking for wholesale T shirts for printing or screen printing. 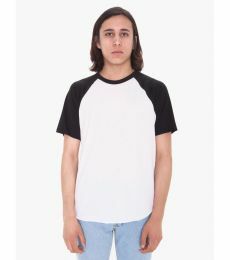 There is a good amount of length to the American Apparel blank and the t-shirts' heavier weight makes it particularly adept at taking the ink from silk screening or other types of printing. 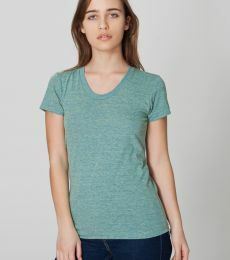 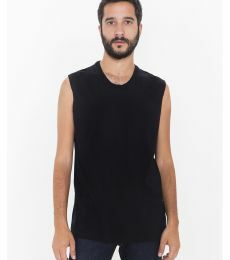 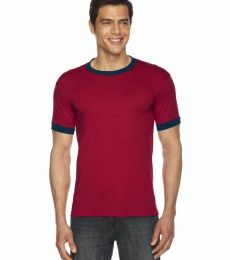 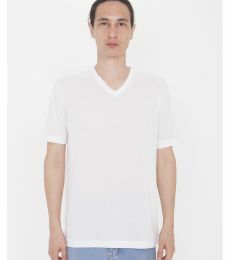 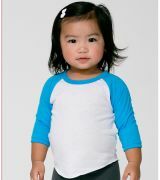 The most popular American Apparel t-shirts are the 2001 and the TR401. 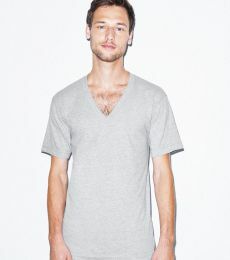 The 2001 is a fine jersey 100% cotton blank with a slim fit. 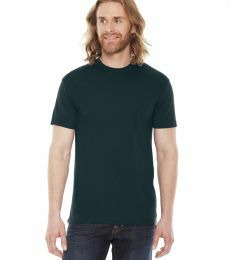 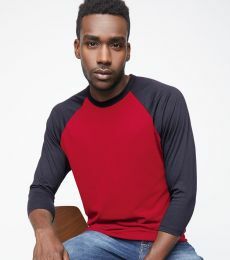 The TR401is a tri-blend blank, made up of 50% polyester, 25% cotton and 25% rayon. 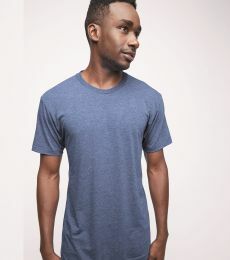 The TR401 is a softer blank but it is thinner than the 2001 and also has less stretch.